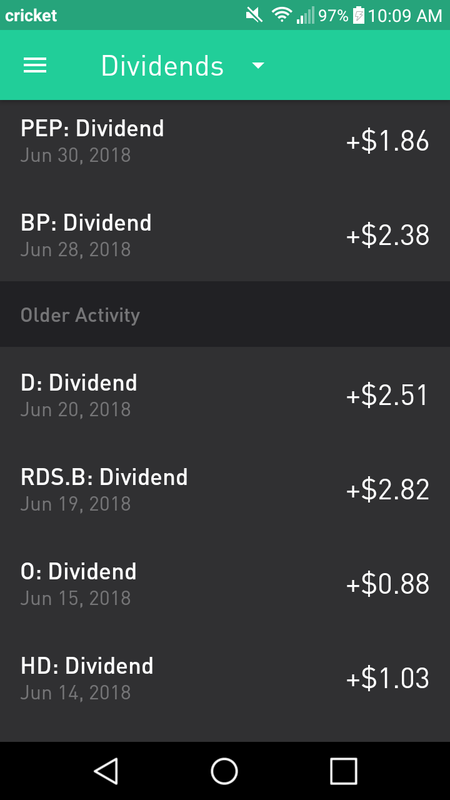 In total, I received $38.64 in dividends in June. 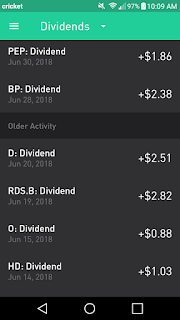 $31.51 of this originated from my Robinhood brokerage account, while the other $7.13 was dividends from Capital Income Builder (CAIBX) in my Simple IRA account. Overall, I'm very pleased with this month as it was the most income I've received in a month since I started investing in September 2017. This was in large part due to newcomers to my portfolio paying dividends, such as SJM, SO, AMGN, JNJ, HD, D, and PEP. How was your June? Was your June the best month you've ever had? 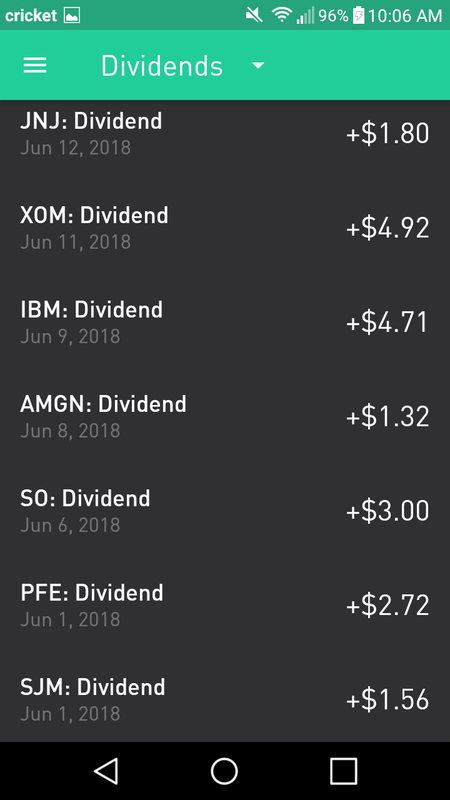 Did you have any new dividend payers for the month? Nice month here! 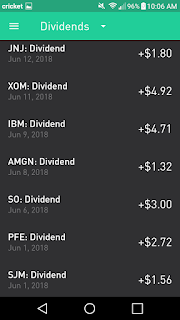 I like the companies that paid you a dividend and you are receiving dividends from a nice portfolio. I'm excited to start following along and seeing you more in the community. Keep it up.